Barbara F. Worth, BM, MS CCC-SLP is the Senior Voice Specialist at Beth Israel Deaconess Medical Center, a Harvard teaching hospital in Boston, MA where she specializes in treating singers and other professional voice users. She received her undergraduate degree in Music Therapy from The Catholic University of America in Washington, D.C. After working for five years as a Music Therapist, Barbara completed her Master’s Degree in Speech-Language Pathology at Northeastern University in Boston, MA. 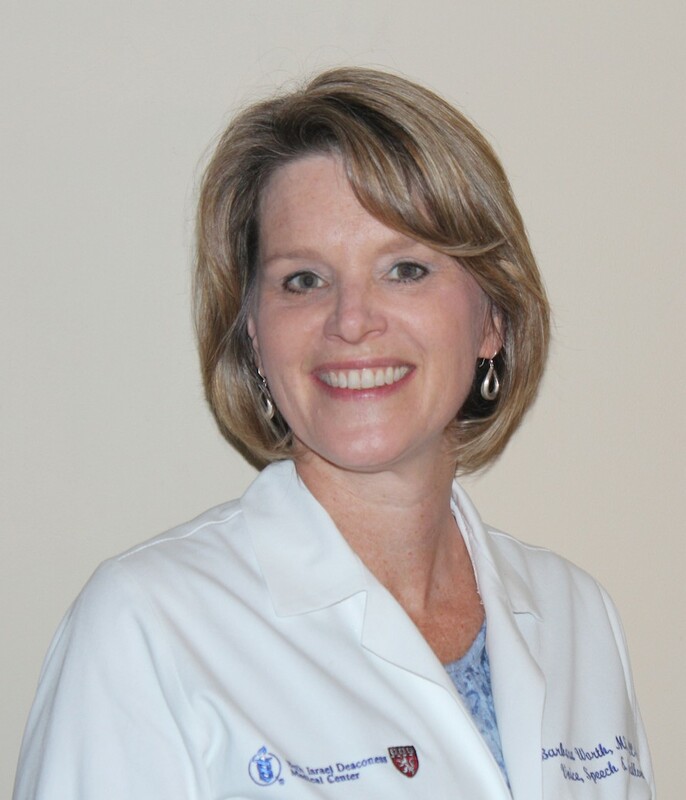 She is a licensed Speech-Language Pathologist with over 20 years of experience in teaching hospitals. In addition to her clinical work, Barbara has taught courses and lectured extensively at area universities. She is a member of the American Speech-Language Hearing Association, The Voice Foundation, and the National Association of Teachers of Singing. Most of Barbara’s patients are adults who use their voices professionally for singing, acting, or for teaching, etc. She works with singers who sing in a variety of genres including gospel, pop, folk, alternative, rock, theatre, classical and more. Their level of training varies from none to conservatory level Master’s degrees. Many of her clients sing professionally or semi-professionally. Ms. Worth will be discussing the types of vocal fold problems she commonly sees in patients, the importance of good technique and vocal hygiene, the role of the speech pathologist and the relationship between the speech pathologist and the singing teacher. Barbara will try to de-mystify the language that speech pathologists and otolaryngologists use. She will also spend a little time showing stroboscopic examinations and discuss anatomy and physiology of the vocal mechanism. Barb will perform live scopes on 3 people at the conference as a demonstration for IVA teachers. Find out more about the IVA Certification Program and how to apply. IVA was founded by a group of world-class teachers of singing who have over 125 years of combined experience training singers and teachers of singing. The founding members have dedicated themselves to learning the best method for training the voice with a desire to pass this knowledge on to others.